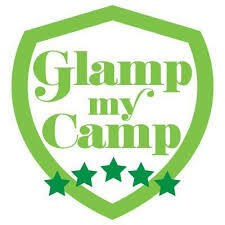 Find here Glamp My Camp coupons, deals and vouchers. Glamp My Camp offers quality, practical and fun camping and outdoor products at the click of a button! We have new stock and offers every week. We love to provide quality products with fantastic service. We are for campers and outdoor enthusiasts who like to enjoy creature comforts while still experiencing the great outdoors. We provide quality camping and outdoor products from well-known and trusted camping, homewares and leisure brands at competitive prices. Glamp My Camp is for campers and outdoor adventurers who like to enjoy creature comforts while still experiencing the great outdoors. With the right gear in hand it is easy to create your own glamping holiday or outdoor adventure anywhere in Australia or further abroad. Glamping means “glamorous camping or outdoor adventure” but we think of it more as “comfortable camping or outdoor adventure”.